The dramatic about-face comes just one day after President Trump signed an executive order ending his administration’s widely denounced practice of separating families apprehended at the Mexico border. This story has been updated to clarify how migrant parents will be processed going forward. The about-face comes just one day after President Donald Trump signed an executive order ending his administration’s widely denounced practice of separating parents and children apprehended for illegally crossing the Mexico border. Trump’s order said the government would maintain a “zero tolerance” policy toward those who break the law, but the senior U.S. official, asked to explain how the government would change enforcement practices, said Border Patrol agents were instructed Wednesday evening to stop sending parents with children to federal courthouses for prosecution. 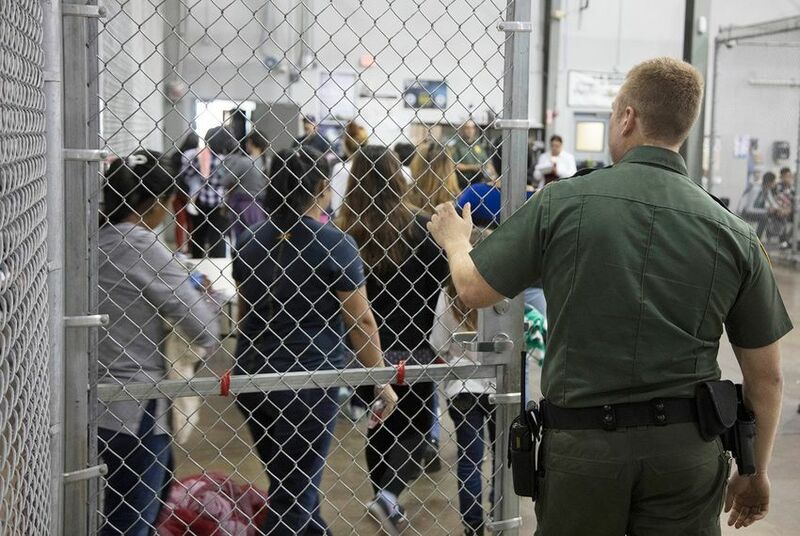 “We’re suspending prosecutions of adults who are members of family units until ICE (Immigration and Customs Enforcement) can accelerate resource capability to allow us to maintain custody,” the official said. The official spoke on the condition of anonymity to explain how enforcement operations will change to comply with Trump’s order. A spokeswoman for the Justice Department, Sarah Isgur Flores, denied that prosecutions would be suspended. Adults who cross illegally will continue to face misdemeanor charges under the “zero tolerance” policy implemented six weeks ago, the official said. Most adults who enter illegally through the busiest span of the border — the Rio Grande Valley in South Texas — are sentenced to time served. But the official said the criminal prosecution of adults would ensure that lawbreakers face consequences. “When a consequence is applied, it makes a difference on recidivism and illegal activity at the border,” the official said. In recent weeks the number of migrants arrested along the Mexico border has declined slightly, according to the latest enforcement data. “It’s nothing we could call a trend,” the official said.